Discussion in 'Ride Reports - Epic Rides' started by ChrisUK, Sep 24, 2012. I'm heading to Donington on my Af Twin. Do you recon they'll give me a wild card entry on the grid? That's a shame about the Mankini..... will check the Hubb, prefer to move my date forward a few months .escape the UK..
Hey Chris, great RR, lots of detail and beautiful pictures! I had a question for you: I'm going to be crossing into Mongolia from China on July 3. I was wondering what the Mongolian customs policies are for motorcycles??? I don't have a carnet and I'm going to try and sell the bike when I leave UB for the USA. It's an old 250 cc Honda and not worth too much I reckon. Have a great trip to Siberia! My ex-gf was from Barnaul too, it seems like a nice place. Also, any advice on river crossings? I will be solo and cannot afford any dunkings, as it were, though if I'd been in the same situation as you I'd have been under the moment I got in the water. Is it useful to walk the bike, you think? Glad you like my little missive. 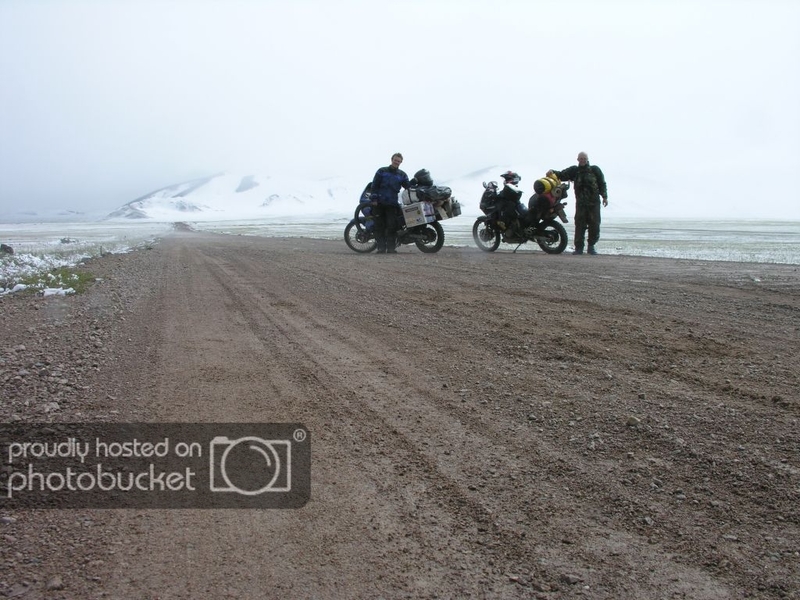 I entered with my bike at Tsagaanuur in the far west of Mongolia. They put my vehicle details (temporary import for a month: the length of my tourist visa.) into their database. From what I could work out, their system is networked. I was given several bits of paper. My bike is still there because I was required to import it, so I could park it for a year in UB. No Carnet required. Have a look over at http://www.horizonsunlimited.com/hubb/ particularly in the Northern Asia section. As you've seen in the video, asking me on advice on river crossings isn't wise . I've learnt to check the depth and speed of all crossings, particularly after heavy rain. Even if it's bad where you are (on the road/ track?) checking further up or down stream may be easier. Or put your bike on a truck. Enjoy your trip. I'm looking forward to Siberia. Thanks for the tips, very helpful. I'll try and make my very first RR when I get back! Really, really like this pic. Glad you like the picture! The TA is a great bike. I've just started a new ride report for my 2013 trip. I parked the Transalp over winter in Mongolia and set off north and eastwards into Siberia in the summer of 2013. 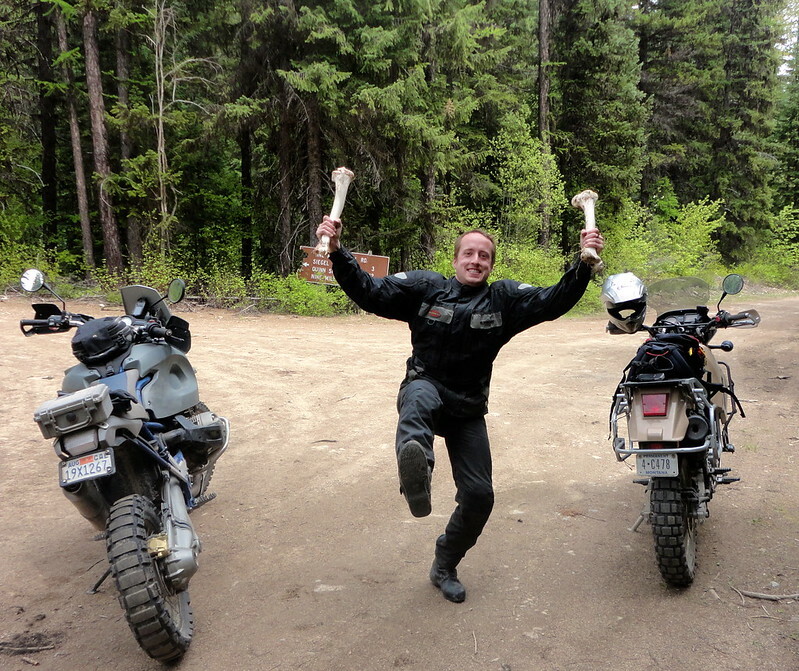 A fan of your great rides and journalism Chris, your crazed-bones photo inspires a new fad!